Take Apartheid off the Menu! Yesterday Palestine solidarity campaigners targeted the British company Valley Grown Salads in Roydon, Essex, and Glinwell in St Albans, for their 20% each share in Edom UK -an Israeli agricultural exporter. 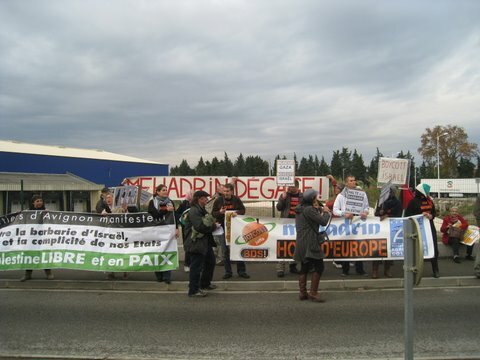 The action was designed to coincide with the week leading up to a European day of action against Israeli agricultural exporters, called for by the Palestinian Boycott Divestment and Sanctions National Committee (BNC) and its European partners. The official day of action, which has the motto “Take Apartheid off the menu” is planned for the 26th of November. 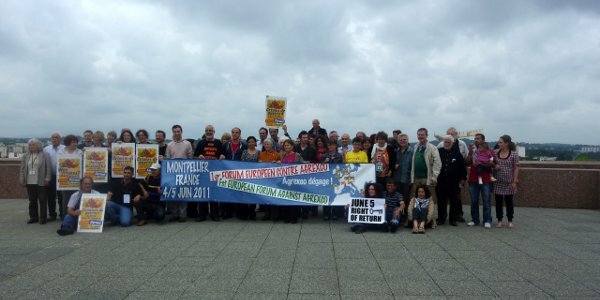 Activists in France launched the campaign against Mehadrin with a large demonstration outside the comapny's French headquarters in Chateaurenard in the south of the country. 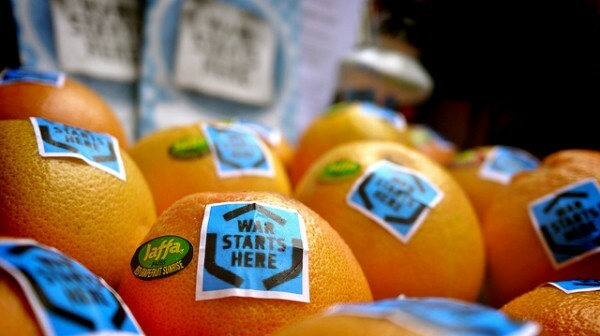 Occupied Palestine, 11 November 2011 - Export of Israeli agricultural produce is at the heart of Israel's apartheid regime over the Palestinian people.